It feels like this year has been very strong for new music, so here’s a set of videos from probably my 15 favourite albums in the first half of the year – though I could have listed as many more again that I’d recommend. The full playlist is here on YouTube, or click on the individual videos below. They’re presented in release date order, and the title given is the album, not necessarily the song. Back in July I compiled a list of my favourite dozen albums from the year so far. A quick survey of the records I’ve enjoyed since them – some released before July, but unheard by me at the time – produced 15 favourites. Giving a rather unwieldy top 27 for the year. So I added another three to make it a round 30. My main reflection from this is that it’s been a particularly good year for Americana, but there’s all sorts of other things in there too. The full Youtube playlist is here if you just want that (and the Jan-Jun one is here). The most polished pop record I’ve enjoyed in 2016. Idiosyncratic American folk that I found only revealed itself after quite a lot of listens – it was worth sticking with. This is the first of two Tucker Martine-produced records in a row – Blau presents a collection of 60s and 70s country tunes here, with a great deal of charm. Pretty much what you’d expect, and no less welcome for that. I don’t think I’ve heard a record quite like this before. I like both the way the songs are allowed to run to their own (often languid) pace, and the name being based on a grammar lesson. Lyrically quite raw, but musically mostly pretty refined, this is a great record. I said In July I expected this would be GRATE. It is. Genius video for this song too. This is a listenable, absorbing record. Lydia’s set another new direction here, heading towards pop or at least indie rock. My first impressions were muted, but I found listening to the album on shuffle that the songs individually stand up better than I first thought, so maybe there’s something about the running order that didn’t click for me. Lydia consistently refuses to make the same record twice and seems to be on a journey with her sound – I’m looking forward to seeing where it takes her next. Formerly The Beautiful Word, Brighton’s Bloom have swapped one slightly rubbish name for another, but produced an absolutely belting record. I was very pleased to support the crowdfunder for this – it’s ace. This seems to have got to the upper reaches of a lot of end-of-year charts, and I can see why. I particularly like the fact that they made a video for this eight-minute-plus song, which has a stunning outro (admittedly accounting for most of the eight minutes). This was the year, long overdue, when I started paying proper attention to King Creosote. It was great to see The Tuts finally get an album out, and doubly so that it delivered on the sass, snarl and sometimes chaos they offer when playing live. This was one of several recommendations by Laura Cantrell in an online end-of-year article, and wasn’t the one that grabbed me most on first listen – but having got to know it, I’d now say it’s probably my favourite of those records. Really lovely. It seems bizarre that it’s getting easy to take a new Pixies album for granted. Let’s not do that. An unexpected foray into country and soul for Joel Gibb – the covers are nice enough, but the original songs are the real attraction here. You know what you’re getting with Hope Sandoval, and it’s good. There’s no online video for this album that does it justice – it’s mostly much more dramatic and energetic than this suggests. The meld of styles to produce ‘Hindi indie’ is what mostly gets written about where Maggie8 are concerned, but there’s a sense of Northern melodrama about some of these songs that reminds me of early Smiths, even though sonically there’s hardly any resemblance at all. To save you the clicking, here are the dozen albums I particularly enjoyed in the first half of the year. 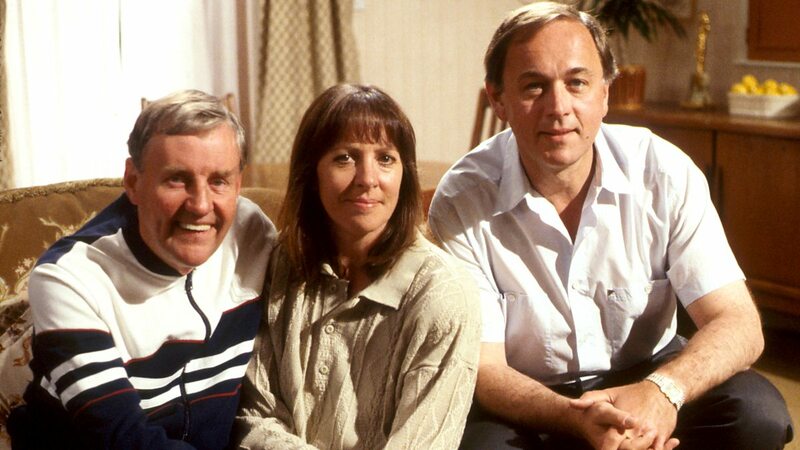 Back when the BBC announced its sitcom season, which after much anticipation begins transmission this weekend, I planned a post lamenting the conservatism of the choices of shows to be featured and suggesting some shows that might have been more interesting – if challenging – options. This needs a bit of revision now: for one thing, one of my suggestions actually got announced as a late addition to the line-up; and one of my suggestions of ‘probably too difficult’ shows became genuinely impossible. But also, I don’t want to write a whinge. Whatever its flaws, the season is going to present an interesting blend of spin-offs, remakes and continuations of old shows, recreations of now lost episodes, and of course a series of new pilots. But it comes at a time when the sitcom is in the doldrums in terms of mass ratings (when a sitcom does make it into the week’s most viewed programmes, it’s usually a repeat of Dad’s Army), albeit definitely not in terms of quality (Uncle, Fleabag and, beyond the BBC, Plebs and Drifters are all doing great business). A spotlight on the genre will be welcome if it can kick-start one or more new series for the future – although there’s undoubtedly the danger that it might accidentally reinforce the idea that it was better in ‘the old days’. Also, the season continues the process of challenging how we think of a TV show: as something that runs for a few seasons and then is over. 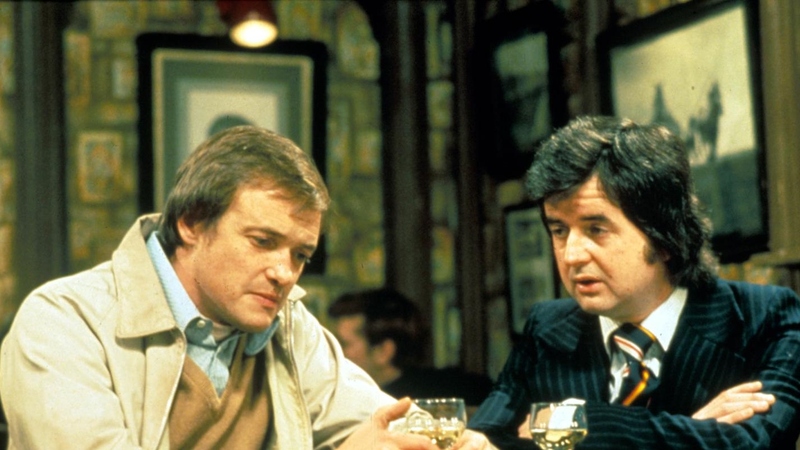 But why shouldn’t the story be picked up again years later (after all, Whatever Happened To The Likely Lads did it 40 years ago; Are You Being Served? got its own follow-up, Grace and Favour; and Shelley was revived successfully in the ‘90s)? Or why shouldn’t the same characters be revisited with different writers and casts? Bands re-form and songs get covered, so why not do the TV equivalents? This season isn’t unique on current TV in doing this, of course: Birds of a Feather has been revived on ITV, Red Dwarf on Dave and Yes, Minister (perhaps ill-advisedly) on Gold; plus the most prominent (only?) example of a show revived on its original channel, Still Open All Hours. Drama is being similarly developed, with Cold Feet back soon, the Upstairs Downstairs revival being rather better than it as generally credited with and, of course, Doctor Who still the grandaddy of all revivals (though the wretched This Life +10 shows that dangers of this kind of exercise… and the less said about wartime-set Eastenders prequel Civvy Street, the better). That said, the conservatism of the choices is a bit of a pity. Wherever the idea of a ‘golden age’ of TV and, by extension, a ‘golden age’ of sitcoms came from, it remains pervasive: only two shows selected were created after the 1970s. So I had a little think and came up with a list of potentially more interesting choices, mostly more recent. 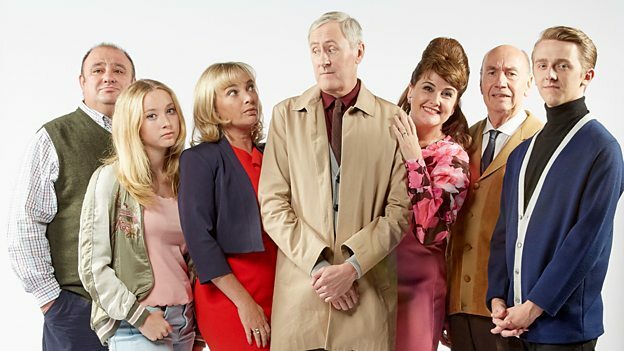 If the season is meant to celebrate sixty years of the BBC sitcom, after all, it seems odd to ignore the last two or three decades. This is the one that needed re-writing, of course – and very welcome that is. My original thought was that, 17 years on, Gary is living in 1962, and the modern world would seem as alien to him as the 1940s did when he first went down Duckett’s Passage. This seems very much the approach the new show (pilot) is following, and I really hope it delivers. 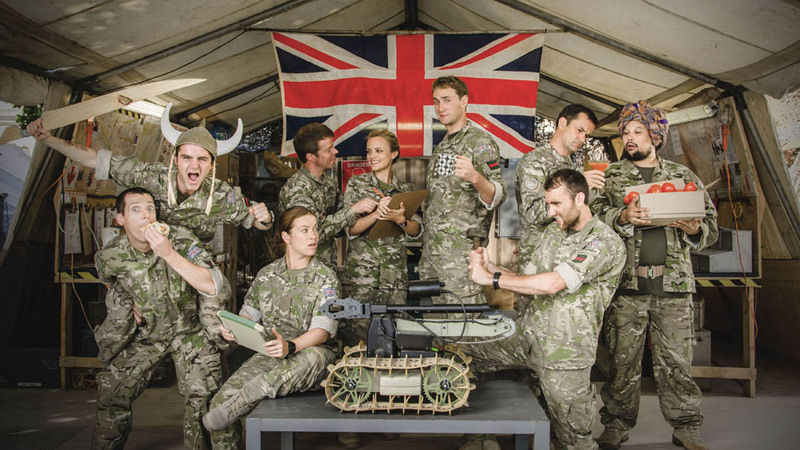 It would have been great to see the squad back in Blighty, with a one-off story to round things off, perhaps as was done to such good effect with Pulling (and I’m under the impression the writers had an idea for the 4th series – I’d love to see those characters away from Afghanistan). 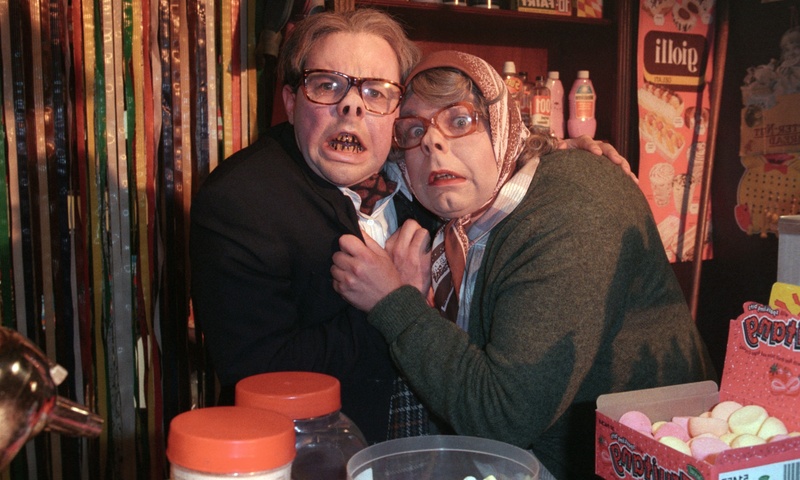 With Inside Number 9 and Crooked House, the League’s writers have excelled at one-off storytelling… a single-episode revival for Rosyton Vasey would be tempting, surely? The flagship show for its channel in its day, remember. The final series ended on a cliffhanger, having only just been re-booted with new characters. It deserves a proper ending. 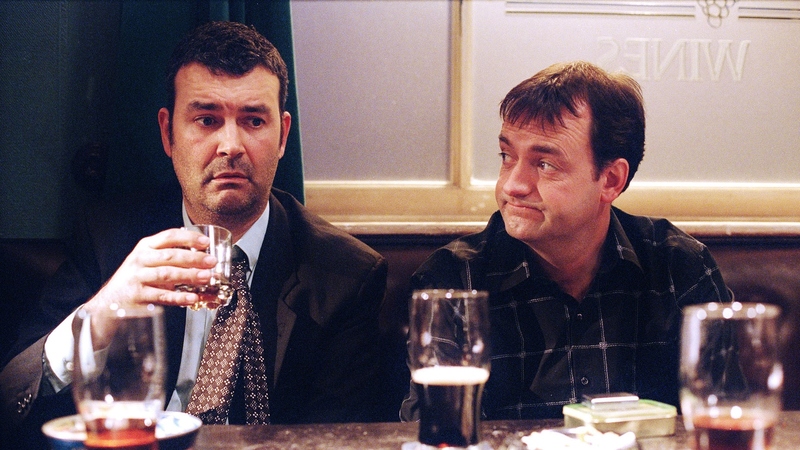 You could easily do a one-off episode of this: ten years on and nothing in The Grapes has changed! Obviously this couldn’t be a straight continuation, but how about a prequel set in the golden age of holiday camps, showing maybe Ted and Gladys earlier in their Maplin’s careers? OK, there’s not a specific case for reviving this as such, I just think it should have got a third series. Now, bear with me here. This was a radio follow-up to Dad’s Army, in which some of the former Home Guard platoon buy and operate the pier at Walmington-on-Sea. Originally to star Arthur Lowe as well as others, it was re-cast to feature Bill Pertwee’s Warden Hodges when Lowe died after recording the pilot. 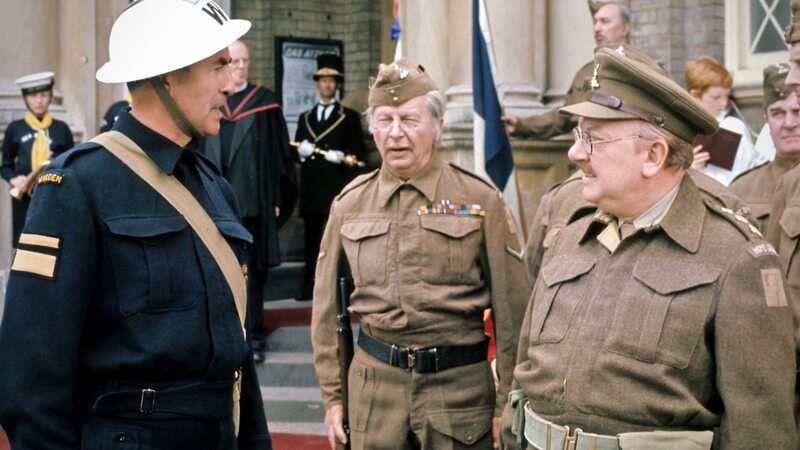 The Dad’s Army characters have recently been re-cast twice, for the movie and the BBC’s ‘We’re Doomed!’, so any taboo about that has been broken – and both ventures had some extremely good re-casting that could be cherry-picked to bring this radio show to the screen for the first time. Steven Moffat left his thoughts for where the characters ended up on Outpost Gallifrey… could he pick it up ten years on from that? One question though is what the basis of the humour would be, now that, presumably, they’re all settled? As far as I can see, the show is simply over. The feud between Bewes and Bolam, which dates back to just after the completion of the Likely Lads film, would probably rule this out. But would we like to see what Bob and Terry are like in old age, wandering around modern-day Newcastle and grumbling about Sage Gateshead? I think so! This is the one that, sadly, is now a total write-off. 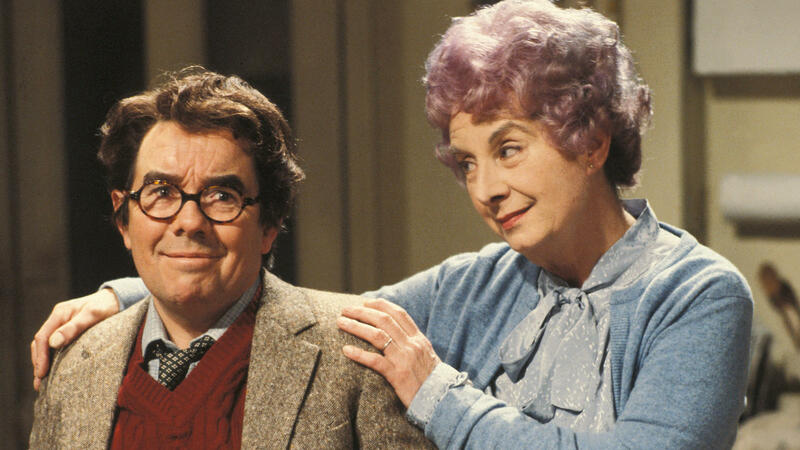 But while Ronnie Corbett was still alive, I was going to suggest, it would have been fascinating to see what Timothy Lumsden was like in old age. If the joke originally was that, in his 40s, he was still essentially a schoolboy, perhaps in his dotage he’d be nearly ready for a mid-life crisis? Though to be fair, that’s quite close to the original premise of Last of the Summer Wine (which had its own prequel, of course… it’s really not such a big deal, this sitcom spin-off business, is it?). This is a show where the lead actor is no longer with us but two of the key supporting cast members are. If the show were to be revisited perhaps a melancholic character-led reunion of Paul and Ann, reflecting on the memory of Martin, could work… but, arguing against myself, without Martin getting annoyed by Paul, there’s really no show. 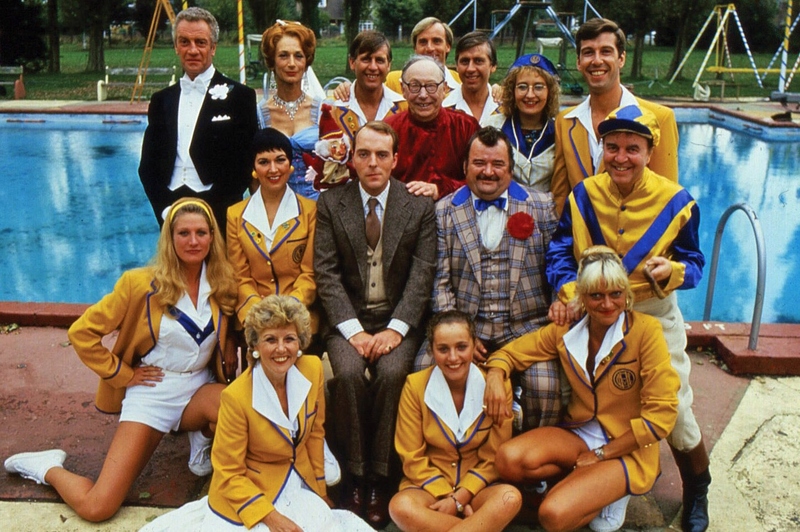 Plus, there is a precedent for revisiting a successful show with just the supporting cast – The Legacy of Reginald Perrin – which is probably more of a warning than a recommendation (and let’s also note that sadly we’ve lost Stanley Lebor as Howard too). Then again, maybe a prequel could be workable – why did Martin turn out like he did? 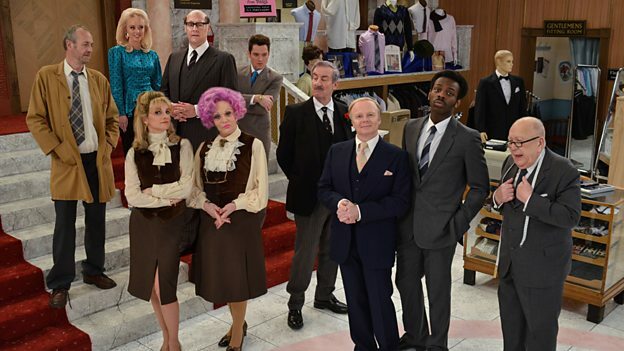 And what did happen between Martin and Ann in Kidderminster…? We’re half-way through the year, so here’s a quick run-down of my favourite albums so far (with a couple of EPs and other honourable mentions at the end). Here’s the full playlist, if you just want to watch that. The first record I really enjoyed this year, and a really accomplished album. Yes the vocals are flat, but who cares? This record is enormous fun, and rewards a lot of listens – it’s much more smartly put together than the indie presentation suggests. Produced by Jim James of My Morning Jacket, who found a distinctive and unusual way of showcasing these excellent songs that still sounds quite full and lush – this live rendition is a bit more orthodox than what you’ll find on the record, but still very recognisable. Adams’ most considered, thoroughly produced record, and a consistently powerful and compelling listen all the way through. Superb tunes on this – lush-but-sparse seems to be the production mode du jour, and it’s used to great effect here. This came out via PledgeMusic, and has a much more varied and polished sound than you’d expect if you were simply told TeenCanteen are a Scottish indie band. Belting. What a welcome return this is. There’s the odd place where I’m not sure the production serves the songs on this record, but mostly it’s a poised album that puts its songs across every bit as artfully as you’d expect. A collection every bit as lovely ask you’d expect, though with two tracks sourced from off-air recordings because the BBC’s masters were ‘unavailable’ – I wonder why? (And no, the video’s not a track from the album, but it’s roughly contemporary with the version of the song on the record, I think). Garbage always mine the same seam, and they’ve done so successfully again here – it sounds like a Garbage album, and not just that, but one of the best Garbage albums. I’m all in favour of indie country singers getting more adventurous with their production, but it sometimes goes awry and obscures the songs. Not so here – this is polished, pin-sharp and showcases the songs brilliantly. They range from charming to touching to emotionally devastating, and are top notch thoughout. A real achievement of an album. A follow-up of sorts to 2005’s 9 Red Songs, although with a much more full band sound. It’s a shame the referendum has made this seem like it’s from another age, as it skewers Cameron-era politics incisively, but always tunefully. Long-awaited Scottish indie heroes split release, and every song is great. This track has more cult TV references than even I can keep up with. Yet another canny release from Colour Me Wednesday – this video doesn’t showcase it, but I love the crunchy guitar sound they always manage on record, which lots of bands seem to struggle to achieve without it sounding weedy. MJ Hibbett and the Validators – Still Valid: the long-awaited new (non-dinosaur) Vlads album technically comes out in July (and more pertinently, the promo video isn’t online yet), but it’s GRATE! Case / Lang / Veirs – Case / Lang / Veirs: I fully expect this is brilliant, I just haven’t listened to it properly yet! What I’ve heard has sounded grand, though. Here’s a mix of my favourite music from 2015. I haven’t tried to come up with any rankings or employ any particular nuance – these are just 23 tracks mostly from my favourite albums, with an EP and a single thrown in, presented in (I think) chronological order. Full tracklisting below the picture (sadly, 8tracks’ code for embeding widgets on WordPress isn’t working any more, so you’ll have to click through – much as I like 8tracks, I suspect it will go the same way as This Is My Jam and that this might be my last mix on it). Enjoy!